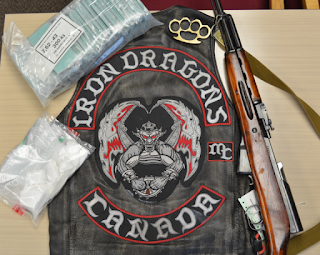 Quinte News is reporting that "Several people from Belleville, Ontario have been charged with trafficking cocaine, including a man said to be associated with the Hells Angels Motorcycle Club, after a drug raid in the city’s east end. Thirty-six-year-old Blair Crawford, 46-year-old Kevin Cox and 19-year-old Meaghan Cox were charged with possession for the purpose of trafficking and possession of the proceeds of crime. According to police, Crawford is associated with the Hells Angels Motorcycle Club." 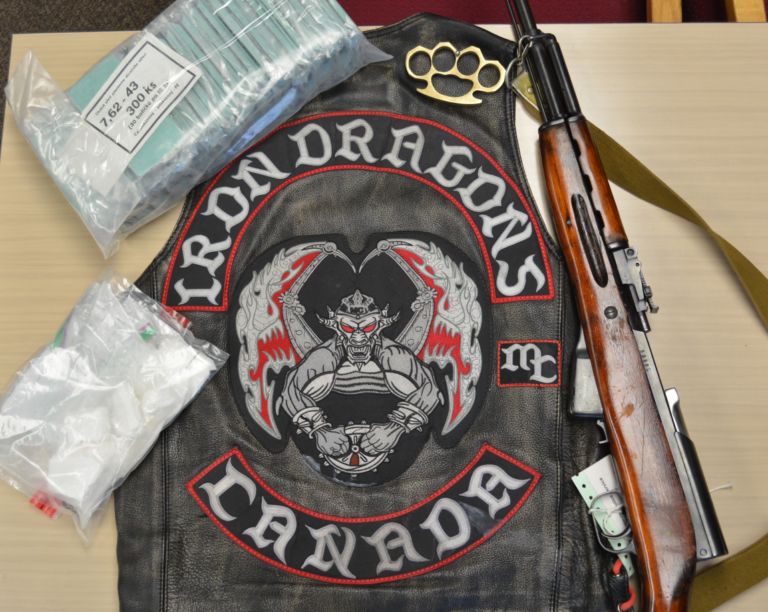 November 30th 2016 a member and associate of a Hells Angels puppet club called the Iron Dragon’s Motorcycle Club were arrested in Belleville, Ontario and charged with posession of cocaine for the purpose of traficking. I guess that's because Ontario still has a Biker Enforcement Unit. Christy Clark did away with ours after they were so successful in the Kelowna Summer Jam. Here in BC, every time a police task force found organized crime, a government body disbanded that police task force. .
Update: The Intelligencer is reporting that this bust has expanded to include the arrst of a Hells Angel member. "Over the course of the probe, OPP say investigators seized 11,500 pills containing fentanyl, eight kilograms of cocaine and 7.5 kilograms of ecstasy, among other drugs and drug equipment." Hells Angels trafficking fentanyl. No wonder Christy Clark cut back the Gang Task force and the OMGU. So they can continue to promote the fentanyl fraud. Good find. Hells Angels trafficking fentanyl. Big surprise. Indeed. People seem to think Quebec is more corrupt than BC but I say not so. Quebec has a task force investigating organized crime. BC doesn't.